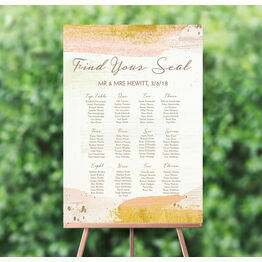 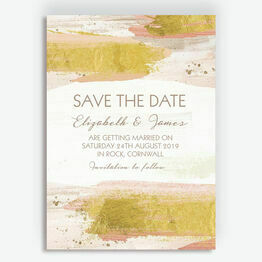 Trendy and artistic, with a touch of rustic style. 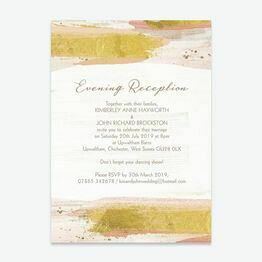 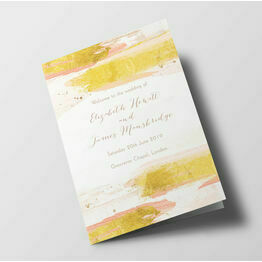 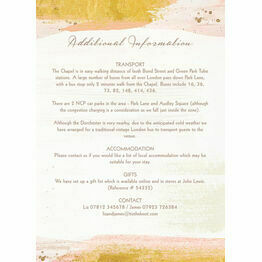 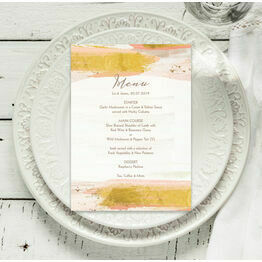 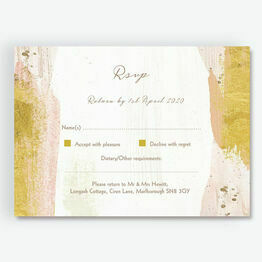 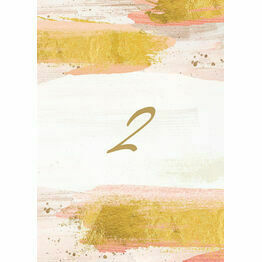 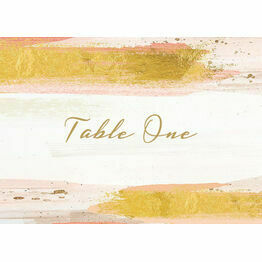 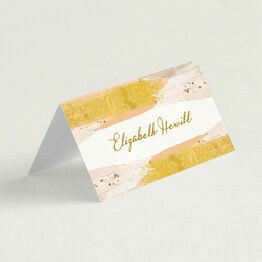 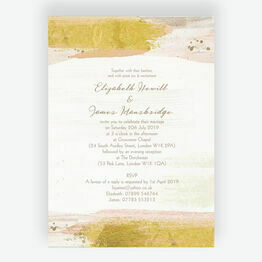 Our Blush Pink & Gold Wedding Stationery features bold, glittering brush strokes, finished off with an elegant font and text layout. 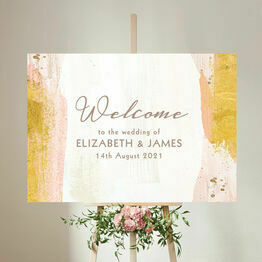 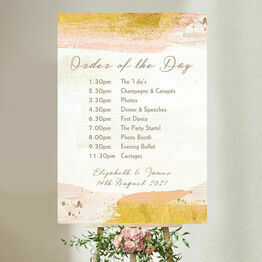 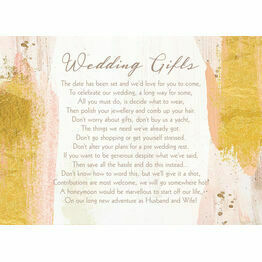 This range can be personalised and printed from home or professionally printed and delivered.